The Evangelical Fellowship of Canada (EFC) released this comment April 9. The writers crafted it for their constituency, but it is a valuable contribution for the whole Christian community, and beyond. 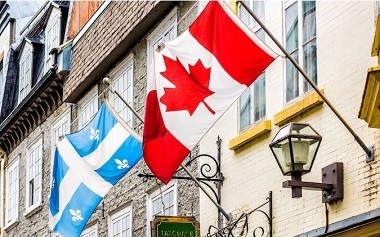 Quebec’s Bill 21 prohibits government employees in a position of authority, including teachers in public schools, from wearing religious symbols at work. As people of deep religious conviction, we take our faith seriously and have empathy and respect for those who do likewise. Christians typically wear much the same clothing as our neighbours, whether they are spiritual, agnostic, pagan or atheist. Evangelical faith and practice does not as a rule require the wearing of specific clothing or symbols. Yet Evangelicals tend to be respectful and supportive of those who have a requirement such as a head scarf, turban or cap. The EFC’s own polling suggests Evangelicals are more accepting than other Canadians of religious symbols being worn by public officials. Evangelicals recognize that a person’s faith shapes their public engagement. Belief is not purely private and personal, confined to religious services, but is lived out in all aspects of life. We know that religious faith cannot be coerced or imposed, and that it must not be stripped away, even for those who do not believe as we do. We serve a God who calls us to follow Him but allows us freedom in doing so. Forced secularism is anti-religious and fosters discrimination. Religion is the ultimate commitment that provides personal and communal direction to life. It shapes our beliefs about the purpose of our lives and the world around us, as well as how we are to live in light of those purposes. Secularism rejects religion or insists religion can and should be separated from the rest of life. A secular worldview may deny a transcendent being, but it is nonetheless a set of views and beliefs about the world that can be held, expressed and proselytized as ardently as any set of beliefs that orient around the transcendent or divine. We would say that everyone, not just those who are part of a formal religious community, has ‘religious’ beliefs about what is ultimately important and about their purpose in the world. We see an increase in ideological secularism in Canada, which promotes the view that religion is harmful, or that those who believe in a higher power or divinity are irrational and possibly dangerous. This perspective is anti-religious and fosters discrimination against those with deeply-held beliefs. It is very troubling that the growth of ideological secularism in Canada has been accompanied by a fear of religion and a belief that religion should be privatized and kept out of the public square. An ideological secularist view that excludes religions from having a part in public life is not a respectful response, but one that trivializes religious differences and forces privatization. Forced secularism, as Quebec’s government is proposing, is not neutral, fair nor even-handed. It pretends that when religion is out of sight, it is out of mind. It presumes one’s religious convictions are, or should be, strictly private and that a plural and open society must shun religious expression – rather than respect and accommodate it. It is essential to protect religious freedom in Canada. It is the task of government to govern all of the citizens within its protection, to do so with justice, and to protect each of its citizens, of all religious faiths. Where there are differences in religious belief and practice, the state must discern the role of accommodation and tolerance. The task of the state is to facilitate the access to democratic participation of all citizens, and to protect the free exercise of religion and to protect the freedom of conscience of each individual. The state must not privilege one religion over another, but it must also be careful not to privilege no religion over religious belief. The solution to difference and dissent is not the pressured privatization of faith. The government should recognize and respect the importance and value of religious traditions and of those organized religions which are part of the lives of their citizens and within Canadian culture. History demonstrates that all freedoms thrive when freedom of religion is respected and protected. Protecting the fundamental freedoms of religion and conscience is for the good of the nation. We call on the Government of Quebec to allow religious people to participate fully in Quebec society, including in public service roles. This comment is re-posted by permission.